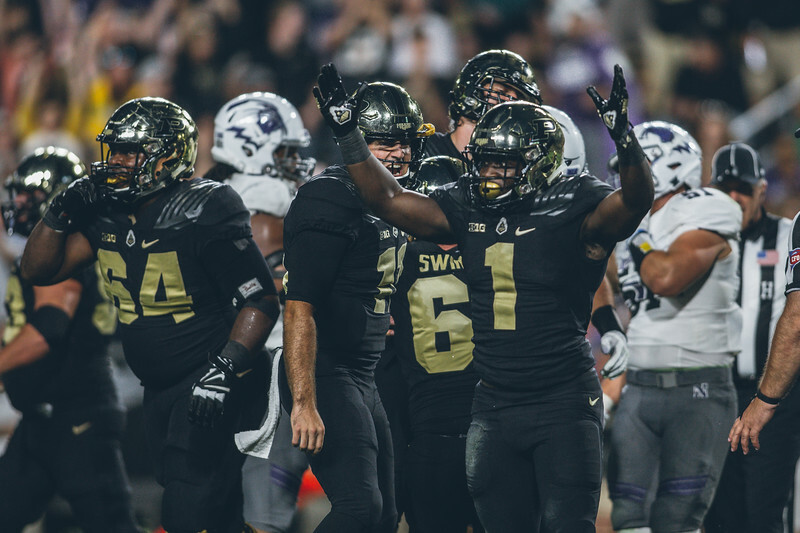 Last night Purdue started their 2018 campaign with a Big Ten game under the lights. The last time that Purdue played a Thursday night game was in 1904. 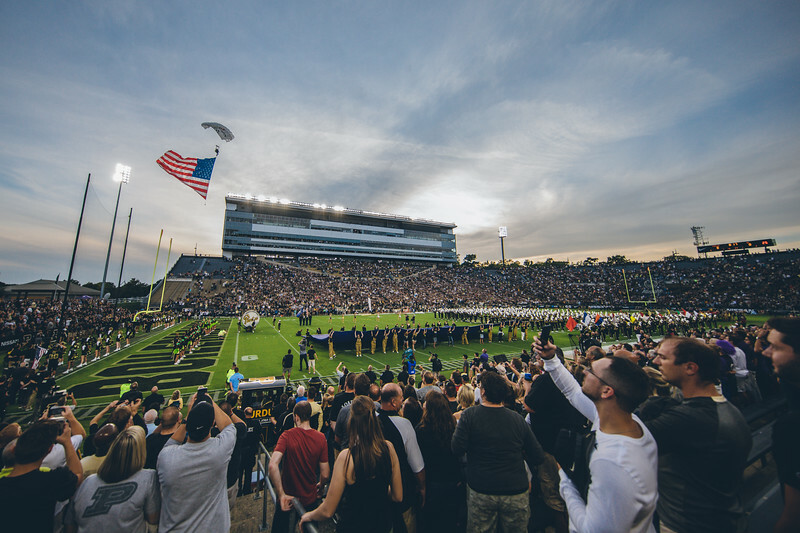 The atmosphere in Ross Ade last night was amazing. There was a moment when I was getting ready to walk into the stadium when it all hit me. This is the way that college football should be. A packed stadium and a very exciting game. The result was not what I had hoped for, but you can see the bright future ahead for Purdue. For some reason I am never really happy with my photos of the run out. Last night thanks to DJ Knox I made one that I actually liked. Part of the fun of photographing Purdue this season will be coming up with a way to make a run out shot that I really like. It sounds easy, but I want something that I don’t normally see. I have a couple of ideas that could be interesting. 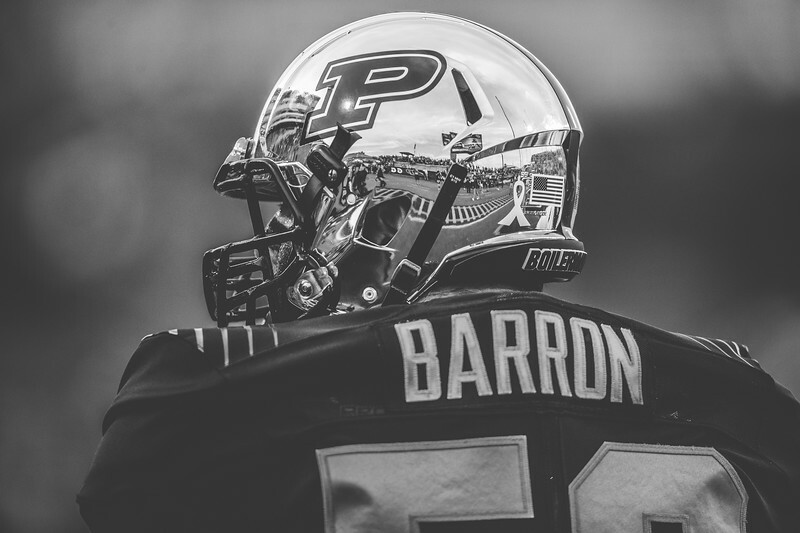 I love those chrome helmets that Purdue wore under the lights last night. They looked great, and provided a great opportunity to make some cool reflection shots. I must be getting old because I don’t understand having so many uniforms for a season. As a photographer though I welcome the things that give me chances to make photos that are different. I also understand that the kids like the uniforms so whatever helps bring in the recruits is good with me. The bad thing about playing a Thursday night game is that you have to wait longer for the next game. I had an amazing time last night making images alongside some great photographers for Purdue. It felt good being home again in Ross Ade Stadium. Everything that I have done the last few years has led me to this point. This entire athletic department is heading in a great direction, and it is amazing to be a very small part of that. I can’t wait for this season to play out. 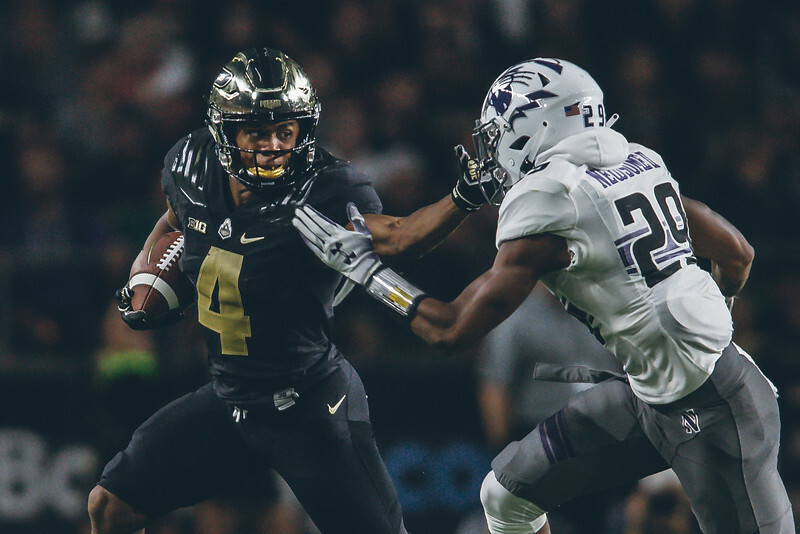 Of course the story of the night was the play of true freshman Rondale Moore. Going into the game I had never seen him live before. 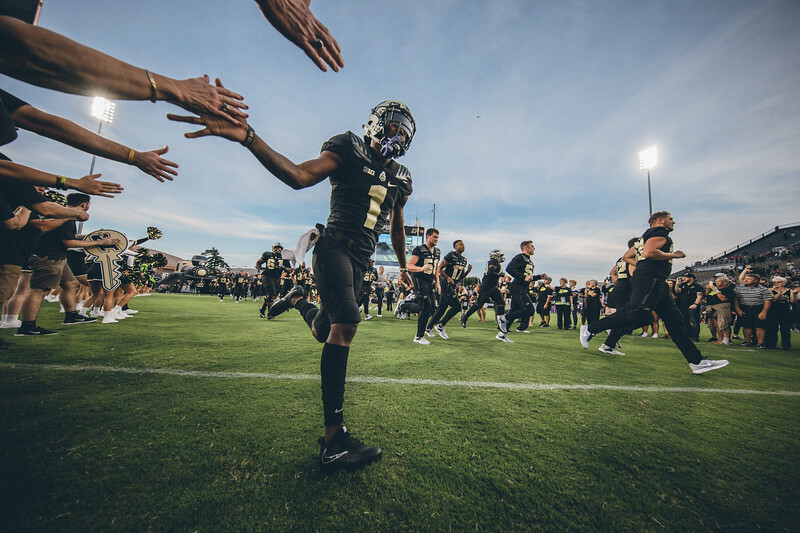 I could see a little of what was to come based on the Big Ten Network show following Purdue through training camp, and of course the rumblings I heard about him. His first night on the big stage of college football was a good one. He had 313 total yards on the night which is a Purdue record. He had over 300 of those yards at the half. I think that opposing teams will have a good plan to stop Moore going forward.